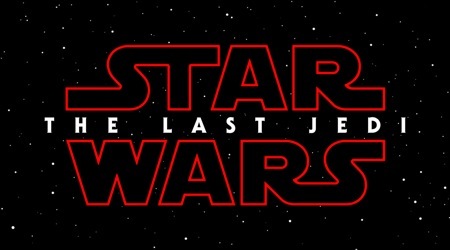 With the recent release of the latest Star Wars: The Last Jedi trailer (watch it here, if you haven't already) lots of speculation has started about the story and eventual outcome of things, since the trailer itself really doesn't reveal an awful lot about its story and looks to be filled with some deliberate confusing and altered scenes that probably aren't going to play out the way as depicted in the trailer. So all we can do for now is speculate, which is one of the more fun things, leading up to one of the most anticipated movies of 2017. A perfect opportunity to share my 2 cents about the upcoming Rian Johnson movie as well, but please take it with a grain of salt, since my guesses and interpretations of the movie and trailer are of course just as good (or bad and crazy) as yours. One of the most talked- and debated about things from "Star Wars: Episode VII - The Force Awakens"; who are Rey's parents and how did she ended up on Jakku? There are lots of theories and thought floating around on the internet already, ranging from 'she's a Skywalker' or Obi Wan's daughter/granddaughter to 'she's a descendant of Palpatine' or Leia's 'secret' second child. In my opinion any of those reveals would be pretty lame, as its something a lot of people expect and a cliché, started by "Star Wars: Episode V - The Empire Strikes Back", that has been done to death. Not everybody should have to be related or connected to everybody in a movie and it probably won't be much of a shock surprise. Rey is not only the new Luke Skywalker of the Star Wars saga, but the new Anakin as well. Someone who struggles with both the good and light side inside of her, constantly questioning her own motives and purpose. She could be the new 'chosen one', who is supposed to bring balance to the force, much like Anakin. It therefore also wouldn't surprise me if her birth was a virgin birth as well, just like Anakin's was. And just like Shmi Skywalker was a throwaway character, so are Rey's parents. The more interesting question therefore is; 'who planted to the seed', so to speak. Maybe the force ghosts somehow found a way to do this, maybe some ancient, thus far unknown Jedi, or yes, maybe Snoke is the responsible one, which probably is my favorite theory. for multiple reasons; it does not only show that Kylo and Rey share a connection, it also shows that Kylo still always had some good left in him, as he couldn't bare seeing one of his knights striking down a young and innocent child, who's earlier killed surrogate parent(s) he probably also knew oh so very well. It makes Kylo also the likely candidate to have placed Rey on Jakku to hide her. Hide her from who? Probably from Snoke, to hide his own weakness as well to conceal the fact that he failed to kill every single person. This is important, since it helps to make Kylo a redeemable character, much like Anakin, who isn't all evil and isn't all lost to Snoke and the dark side. This theory would also suggest that Luke and Rey knew each other from the past and Rey indeed could have been one of Luke's Padawans at some points. 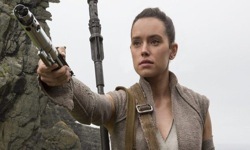 It also would explain why Rey would be able to use certain force abilities already in "Star Wars: Episode VII - The Force Awakens", such as mindtricks and the force pull. So why doesn't Rey remember her own past? Who knows, maybe she somehow got an head injury during the destruction of the Jedi temple, or maybe Kylo used some, so far unseen, force ability on her to erase certain memories from her mind, also once again to safe his own skin. 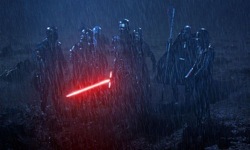 It makes Kylo Rey's savior, which would make it more likely for them to team up during "Star Wars: The Last Jedi" or Episode IX, at some point. But more about this in one of my later articles. But why did Snoke create Rey in the first place? Everything about Snoke suggest that he is an ancient and fallen force user who is slowly regenerating and becoming more and more powerful. What could make him more powerful and able to regenerate? Draining the force (or yes, OK; the midichlorians) from other force users. And remember; force users aren't necessarily all Jedi as well. Most people who have the force probably don't even know they have the ability, making it likely for Snoke to have the drained the force from countless of innocent persons throughout the years, from all across the galaxy, like some sort of ancient space vampire. 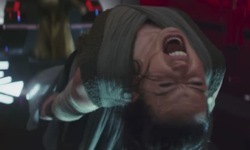 By creating Rey he however created a force user so powerful that he would be able to regenerate at once when pulling the force from her, as one of the final scenes in the trailer also possibly could depict, or perhaps he simply tries to mold her into his new right-hand 'man'. Snoke probably always kept his 'eye' on Rey, allowing Luke to train her in the ways of the force while subconsciously also speaking to her, making her more tempted and vulnerable toward the dark side, causing Luke to fear for Rey's strength and abilities, making him reluctant to train her and show her the ways of the force in "Star Wars: The Last Jedi". He may already have had some doubts when he first trained her as a Padawan, assuming that he did do this at one point. And yes, I like the idea of Luke already knowing Rey. It is obvious Snoke has been using Kylo Ren (or Ben Solo) right from the start as a mere pawn. A pawn to his bidding and one to make the Skywalker family suffer a severe blow, making them weaker, since it is unlikely that at this point Snoke is strong enough to take on Luke. It probably also is true that both Snoke and Kylo at first assumed that Luke didn't survive the purge. It is one of the reason why Luke eventually went into hiding. Not just out of sadness and because he knew he failed with Ben Solo, but also as a fugitive from both Kylo Ren and Snoke, who he knew he couldn't destroy, since Snoke has always been hiding deep into space. The failure of killing Luke and taking the young Padawan Rey to Snoke causes Snoke to not completely trust Kylo and his abilities yet, making it part of the reason why he hasn't fully trained Kylo yet in the dark side of the force. Another reason simply could be that Snoke wants to prevent Kylo from becoming too strong and powerful with the force, knowing that there is still some good left in him and he one day could turn against him, much like his grandfather Darth Vader/Anakin eventually turned against Palpatine.